Bar by night, sun-bathed lounge by day. Sugar Lounge faces the crashing waves, white sands and swarms of locals, tourists and a few eccentric characters which all make for an entertaining and pleasant outlook. The seating available is made up of a mix of stools at the counter, soft comfortable lounges and regular chairs & tables. Service was quite slow on the uptake. After finally catching someone’s eye, menus were brought over. I noticed that this was not a one-off occurrence as other customers were also left wanting. I was hoping that this would be the last of the issues with the service however there was also a forgotten coffee, missing sides (which were on the bill), a glass with a broken and sharp edge, forgotten cutlery which we needed to go to the counter for and absent staff to the point where I decided to go to the bar myself to ask for some water. The staff were all friendly enough when we had their attention but unfortunately the service overall was not in the same league when compared to my regular outings. Pear… I definitely don’t see enough of this fruit in fresh juices! 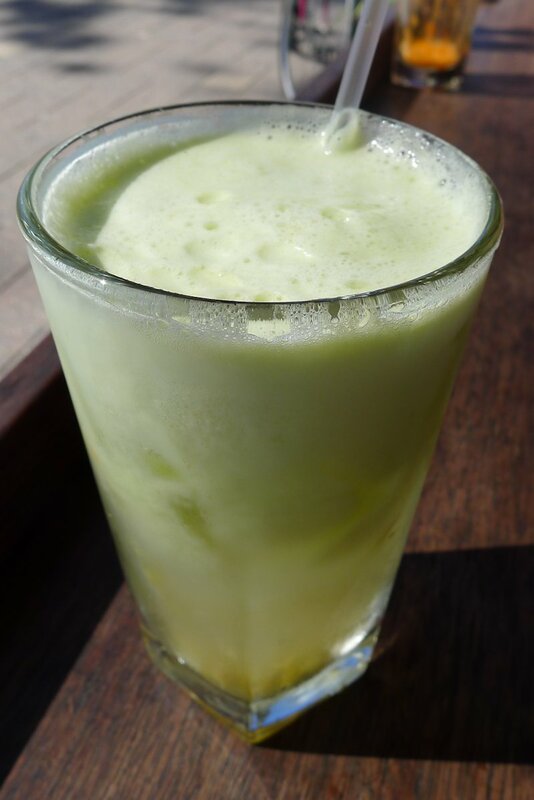 Fresh pressed juices ($6) are available as orange, apple, pear or pineapple. Mixed fresh juices ($7) available are orange, carrot, apple & ginger or the one that we sampled pineapple, pear & passionfruit. Served chilled and featuring some glorious textures and colours, this was a great start to the breakfast. 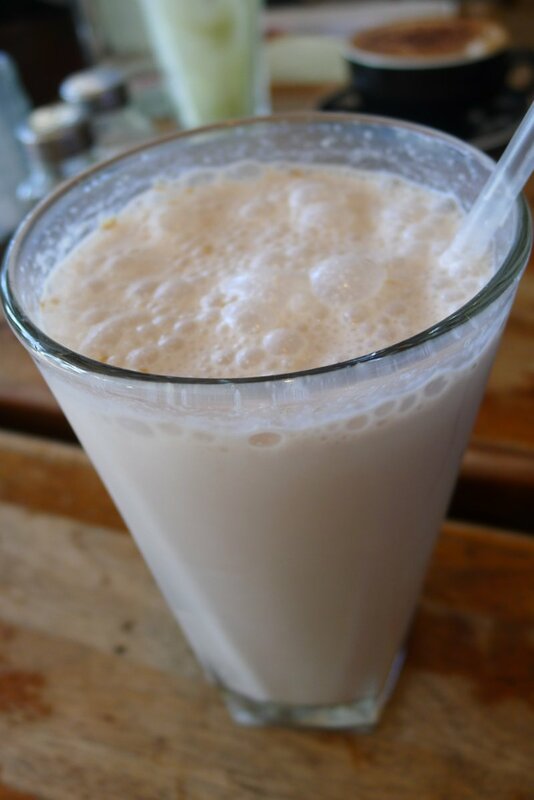 The milkshakes ($6) are available as chocolate, banana, vanilla or strawberry and can also be ordered malted ($7) which in my opinion isn’t offered enough! My malt chocolate shake (which was initially sent back due to the chipped glass and returned quickly with a smile) was again a winning beverage. The rich chocolate flavour was apparent enough and the consistency along with the foamy head was just what I was looking for. 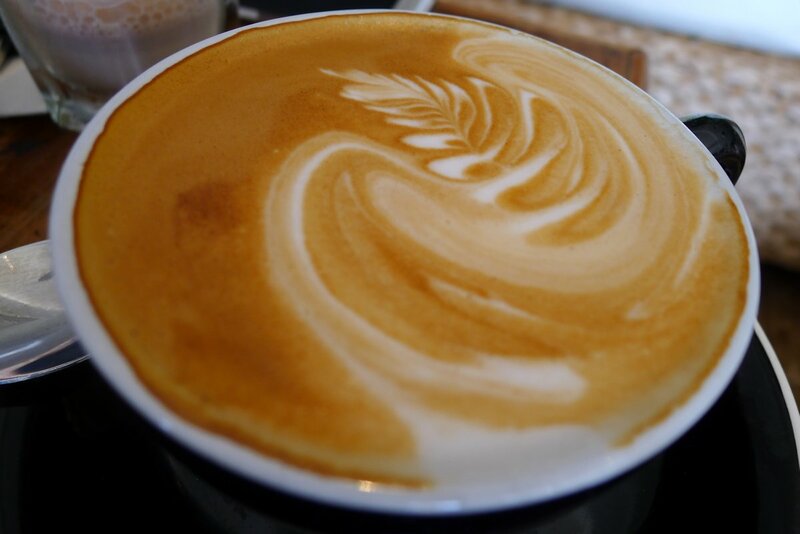 Our coffees ($4) were pleasant enough although not as strong and flavoursome as I was hoping. 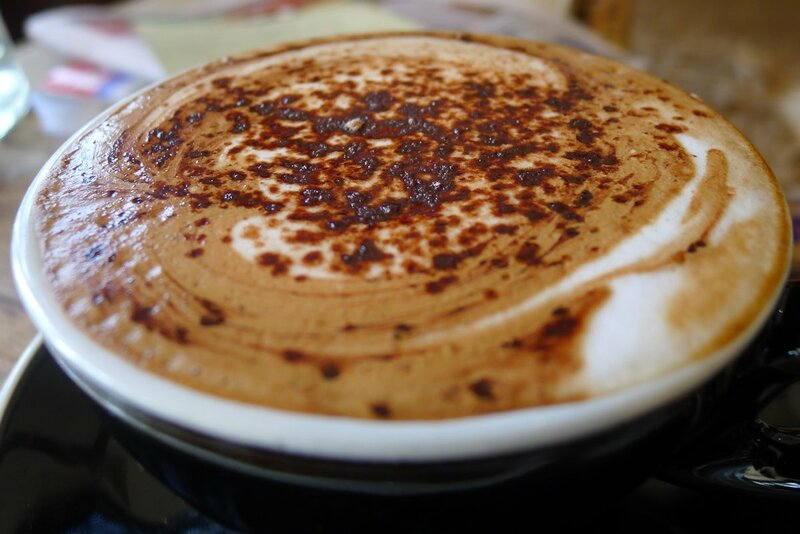 The mocha was missing a real chocolate kick and instead left my guest (a regular mocha drinker) asking me whether she had in fact received the right cup. 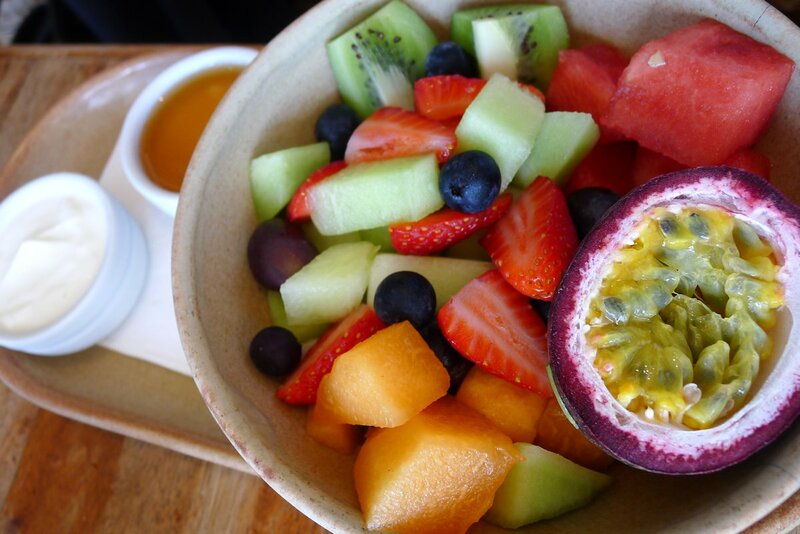 What better way to start off a breakfast than sharing a seasonal fruit bowl ($11)? SL serves theirs with Greek yoghurt & honey on the side and I wouldn’t have it any other way! The variety of fruit was superb and everything was fresh & ripe. If I had to be very picky I’d say that I prefer kiwi to be peeled but seeing as the skin can be eaten anyway, it doesn’t really matter. 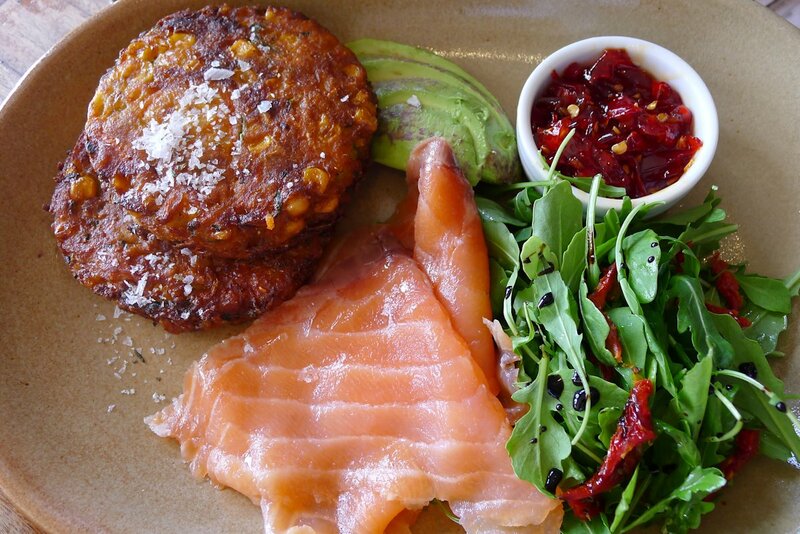 The sweet corn & zucchini fritters ($14) are also available with bacon or smoked salmon (add $3 each). It beggars belief that someone would choose bacon when given the opportunity but my guest chose to add salmon and who am I to judge?! Inside the fritters, we found a decent amount of corn and zucchini which was well seasoned although overall the fritters were slightly on the dry side. The salt on top was nice cosmetically but a bit overkill. Served on the side you’ll find avocado, chilli jam and rocket with balsamic. The chilli jam adds a nice sweet flavour and a reasonable chilli hit. The salmon was very smoky so for those who like their flavours strong, it will be a winner. The potted eggs ($18) is a dish I haven’t really seen before. 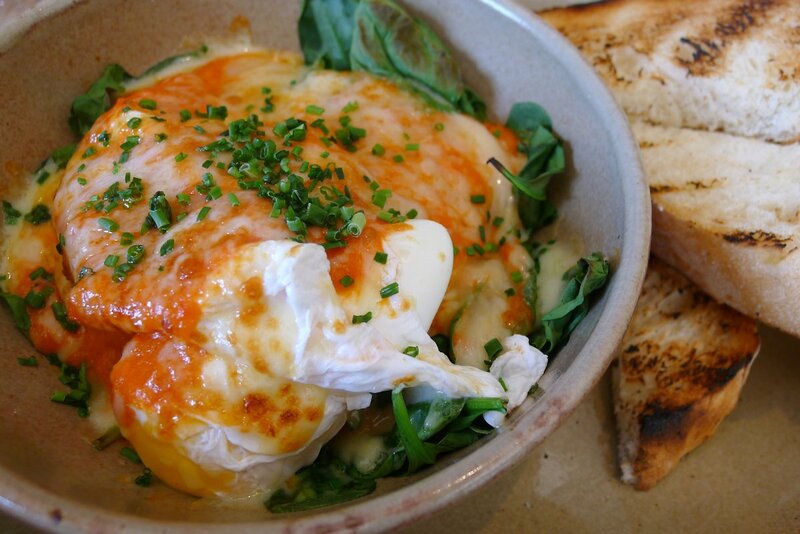 Sitting on a bed of spinach are poached eggs and a roasted capsicum sauce all topped with three cheeses, and baked. The capsicum sauce was delicious – sweet and absolutely packed with powerful flavours. One of the eggs was poached perfectly, the other slightly overdone. The cheese layer was quite thin and while not extremely flavoursome, offered the stringy consistency. The woodfired bread on the side was a great touch. The flavour of charred bread with a great sauce like this capsicum offering, is a great combination. 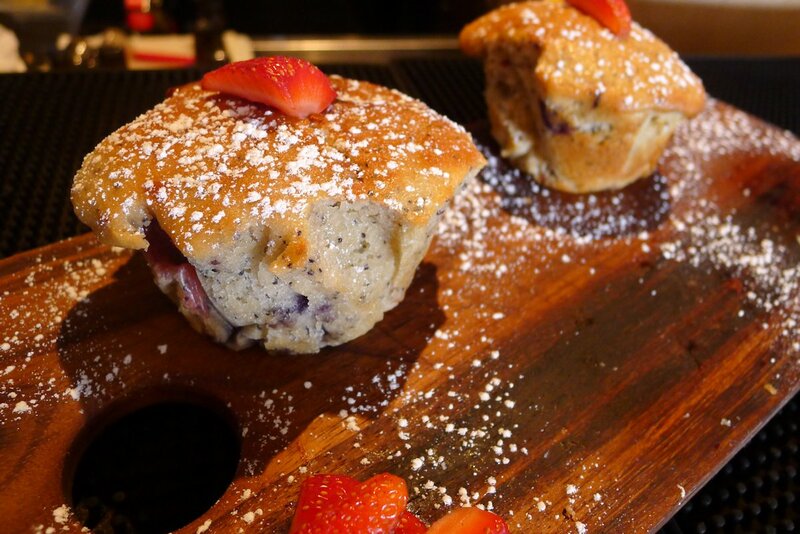 We finished our meal with a takeaway strawberry and blueberry muffin ($4) which was moist and had lots of blueberries but was slightly doughy. Other dishes on the breakfast menu include the fluffy pancake stack with lemon marscapone, maple syrup & berry compote ($16), bircher muesli with grated apple, blueberry compote and yoghurt ($11) and ricotta cheese, olives & sun dried tomato stuffed portabello mushroom on sourdough ($16). As it might be apparent my breakfast at Sugar Lounge was peppered with hits and misses this morning but as usual I’m happy to hear your experiences. I’d also like to know your recommended spots on the Northern Beaches. Where should I head to next? 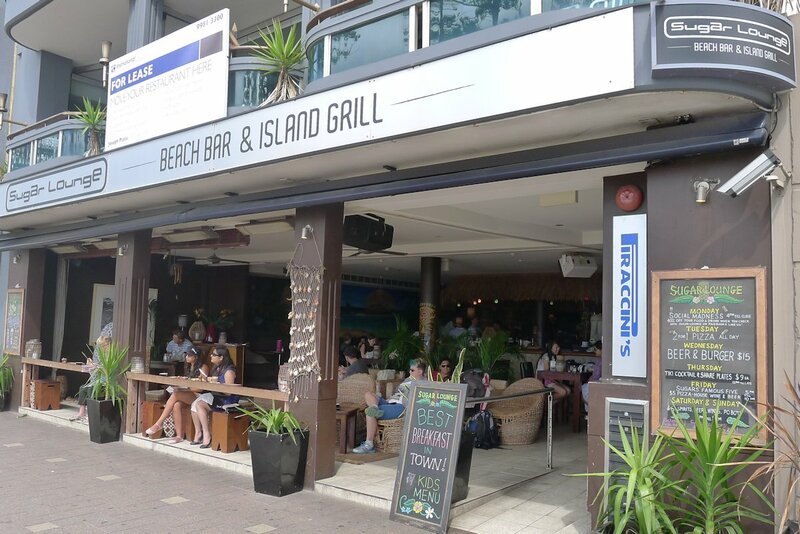 This entry was posted in Sydney - North Shore and tagged Disabled access, Gluten free options, Water views. Bookmark the permalink.